Jody Nixon has been a horse lover for as long as she can remember. She was first certified as a riding instructor when she was 20 years old during the summer of ’87 while teaching at Camp Birchwood in Minnesota. The following year Jody graduated from Ohio University with a studio art degree and decided to shoe horses professionally. She soon graduated from Belleview Horseshoeing School as a Certified Farrier. In the 90’s Jody studied Natural Horsemanship directly from Pat Parelli and continued to teach riding and horsemanship. While working as an advocate for victims of domestic violence, Jody realized that the women needed time with horses to support their healing process. Horses naturally make you stand up for yourself and this was fundamentally lacking with most of her clients. Jody began searching for a continuing education program that would support this type of work and she discovered Eponaquest International. In January 2014, Jody took an Eponaquest workshop which transformed her life. She knew if she could combine her advocacy work with horses, she could help support lasting change in people’s lives. In March of 2014 Jody graduated from the six month Eponaquest apprenticeship. In 2015 Jody was invited to be a co facilitator for Eponaquest’s six month Riding Focused Apprenticeship from which she graduated as both an Advanced Eponaquest and Power of the Herd Instructor. Jody worked for Pegasus Equine Therapy from April 2014 until 2018 and now focuses soley on her own business Metaphorse Riding and Equine Experiential Learning. Jody offers workshops and lessons at her facility in Montrose, Colorado and horse led retreats in the jungle of Costa Rica. Jody is deeply passionate and masterfully able to share the gifts of the horses with her clients. She brings a depth and lightness to this work with her unique style, years of experience, authentic connection with horses and sincere desire to support others healing through horses. Maria is a Riding Focused Equine Facilitated Learning Instructor certified by Shelley Rosenberg (www.myhorsesmyhealers.com) and Dr. Nancy Coyne (www.heartsworknancycoyne.com). Maria excels at the art of creating supportive, sacred space for individuals and groups to access their full potential. 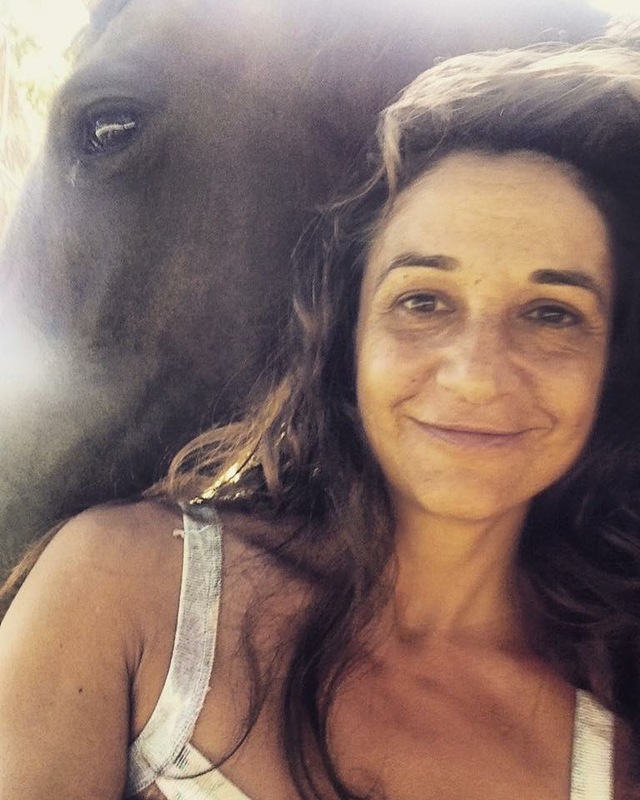 She has 20 years experience teaching Integral yoga, meditation, Reiki attunements; yoga, permaculture and nature retreats; natural healing through massage, herbology and other modalities for people and animals and in the last years Equine Facilitated Learning. Maria has been in love with horses for as long as she can remember and started riding at an early age. She has always held a deep connection with all animals. 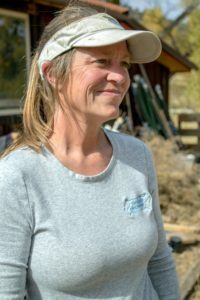 At age 13 she was licensed by the state and federal government as a Wildlife Rehabilitator, worked for six years at the local humane society and several years as a Veterinary assistant. 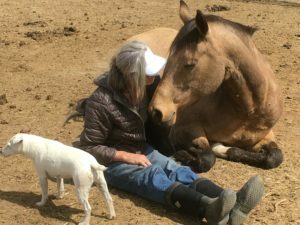 After reading Linda Kohanov’s book “The Tao of Equus” and having experiences with the horses she was living with that paralleled what she was reading, Maria sought out an Eponaquest retreat. Her experience was so profound she entered an almost year long immersion combining the six month apprenticeship with the additional opportunity to cofacilitate numerous retreats and workshops with her teachers. Inspired by the power of transformation that is possible when we cocreate with the unconditional love and sentient wisdom of the Horses, Maria created “Guru Horses”. A growing vision that currently offers Equine Facilitated Learning Adventures (EFLA, as she likes to call them) as 1-10 day workshops and retreats and also a safe haven for horses in need. Maria is deeply honored to offer this transformational work of the horses with people. “I have never experienced anything more beautiful than the way the Horses show us our true light”. She lives between the jungle and the sea with her herd of guru horses, dog, cat and chickens on the Peninsula de Osa, Costa Rica “the most biologically diverse place on the planet” according to National Geographic. Our Colorado and Costa Rica Guest Facilitator, Terrine G. Ransier, C.M.T. and Eponaquest Instructor under Shelley Rosenberg’s Riding Apprenticeship. Founder of Running in Circles LLC. and Thouroughbred Breeding Farm and Racing Syndicates.